This matter-of-fact monograph of the Cuban missile crisis by a central figure is very readable and, considering it was probably whipped up ahead of RFK’s tilt at the Presidency, quite fair (note, by contrast, that in the vivid film of the same name, a key, in fact, critical adviser, Llewellyn ‘Tommy’ Thompson, an Eisenhower appointee, is nowhere to be seen). 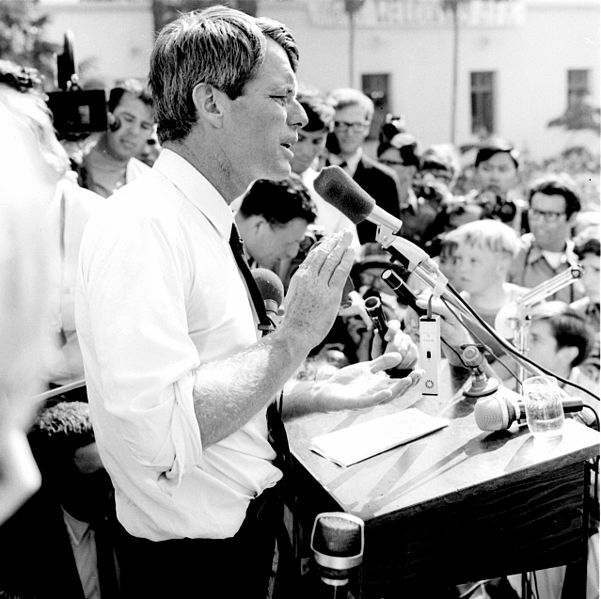 Kennedy needs and wields no purple prose: his writing is clear, taut and free of cant. For a career politician, this is singular in itself; for an account of a moment on the precipice, it is welcome. We add, the absence of key man ‘Tommy’ Thompson aside, that the film of Thirteen Days, by Australian director Roger Donaldson, is a tight, gripping, wonderful modern history film, doubling as doco and war thriller. Whilst tendentious (ignoring Republican voices and slandering them as hawks, venerating Adlai Stevenson) it suggests the tension, nay hysteria, that would have prevailed with most modern politicos.. The missile crisis was JFK’s finest hour, far away from the cameras, far from posturing on the stump or at the Berlin Wall. He faced an existential challenge on behalf of the Free World, and we should thank his memory for it. Aesthetically, the production is superb, with ingenious but un-showy touches. 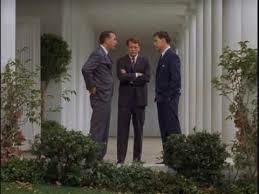 TVC’s favourite directorial moment: After an intimate chat in the Oval Office, key aide Kenny O’Donnell advises the President to wear something nice for the TV, “Make sure Jackie picks it.” The President leaves the room and Kenny shuts the door, turning to face a full cast of crew and Kennedy preparing to address the nation. Simple, elegant, concise and inspired.